Woonsocket, Rhode Island native, Kevin Plouffe earned a Bachelor's Degree in Percussion Performance from the New England Conservatory in 1992 and a Master's Degree in Music Education with an emphasis in conducting from the University of Rhode Island in 1994. Kevin served sixteen years as band director at Woonsocket High School, where his responsibilities included directing the marching band, concert band, jazz band, and percussion ensembles, as well as serving as the music department representative. From 2011 - 2018, Kevin taught in the Killingly, Connecticut public schools. He was the band director and jazz band director at Killingly Intermediate School, where he taught band to over 170 students in grade 6-8. 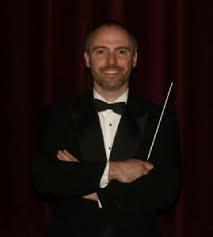 His middle school and high school bands have consistently won awards at local music festivals. Since 1998, Plouffe has taught percussion at Brown University through the Applied Music Program. He also coaches the Brown University Wind Symphony Percussion Section and conducts the Brown University Percussion Ensemble. Three times, Kevin has served as interim director of the Brown Wind Symphony while Matthew McGarrell was on semester-long sabbatical leaves. He is past president of the Rhode Island Chapter of the Percussive Arts Society, a position he held for over ten years. Kevin now serves as the organization's vice-president and treasurer. He founded the RI-PAS Percussion Ensemble adjudication festival which has been running successfully for the last seventeen years, attracting secondary level percussion ensembles and guest artists from throughout southern New England. Plouffe has received numerous accolades including seven first place awards from national music festivals numerous second and third place awards as well as numerous honorable mentions. He is the founder of the Blackstone Valley High School Jazz Festival at the Stadium Theatre Performing Arts Centre, 17 years and running. His past experience includes, Band Director at Norwood High School, Director of Rhode Island Music Educators' Association Junior All-State Jazz Ensemble, Quabbin Valley Middle School Honor Band, Massachusetts Central District Middle School Honor Band and faculty member at the University of New Hampshire Summer Youth Music School. He has performed with numerous orchestras throughout New England; the RI and Boston Philharmonic Orchestra, the Worcester Symphony Orchestra, New Bedford and Plymouth Symphony and Theatre by the Sea to name a few. Regina McAdam is the director of the High School Chorus Program, and has been a music teacher at the high school since 1995. Her teaching duties include directing the advanced level Chamber chorus, Women's Choir, Men's Choir and concert choir and is the teacher adviser for the High School dance team. Regina holds degrees in Music Education, from Rhode Island College, where she served as the graduate assistant conductor for the Rhode Island College Chorus. 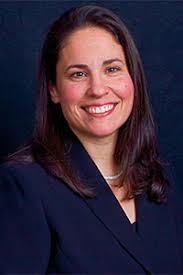 She is a member of the American Choral Directors Association, where she serves as the RI President. Regina is also a member of the Music Educators National Conference, and is presently serving as a member of the RIMEA executive board. She also served as manager of the 2007 - 2016 Rhode Island Senior All State Mixed Choir. In 2002 she was the guest conductor for the RI Junior Division Honors Chorus. In 2012 she guest conducted the Jr. All State Treble Chorus and in 2018 was guest conductor for the RIMEA Jr All State Mixed Choir. Mrs. McAdam was named the North Smithfield Schools "2012 Teacher of the Year" and in 2013 was a finalist for the RI state teacher of the Year. In 2013 she received the Rhode Island College Alumni Honor roll award for outstanding achievement in her field. In addition to her teaching duties at North Smithfield, she works as the music director at St. Gregory the Great Church, Warwick RI.